Hughes Systique demonstrates state of the art technology for the "Next Generation Retail Store"
ROCKVILLE, Md. - Jan. 16, 2017 - PRLog -- The Retail vertical is undergoing a huge digital transformation - brick and mortar retail stores are threatened by online service providers such as Amazon, e-Bay, Google and others. While the customer enjoys the convenience of online shopping they still want the touch and feel of a brick and mortar store, ideally combining the benefits of both. Retailers have recognized this need and are looking at ways to engage the in-store customer better. 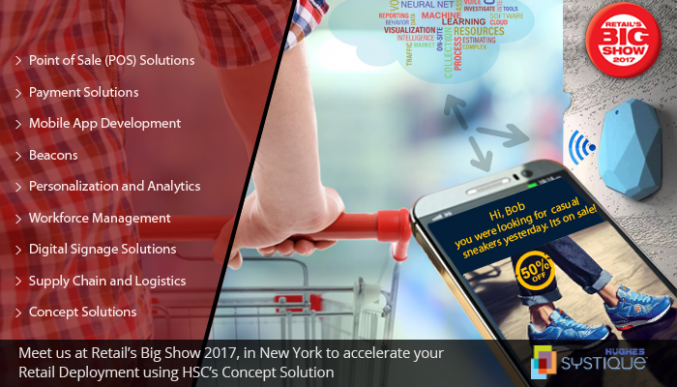 HSC's retail concept solution sector combines state of the art IoT, Analytics, Face Recognition, Deep Learning and Beacons to enhance in-store customer shopping experience, increase revenue and reduce operating costs. The solution maps and enhances the entire shopping experience from entering the store and receiving personalized greetings, to aisle side intelligence, video based attendant for customer service, discount coupons and allergy alerts, to seamless checkout and analytics. 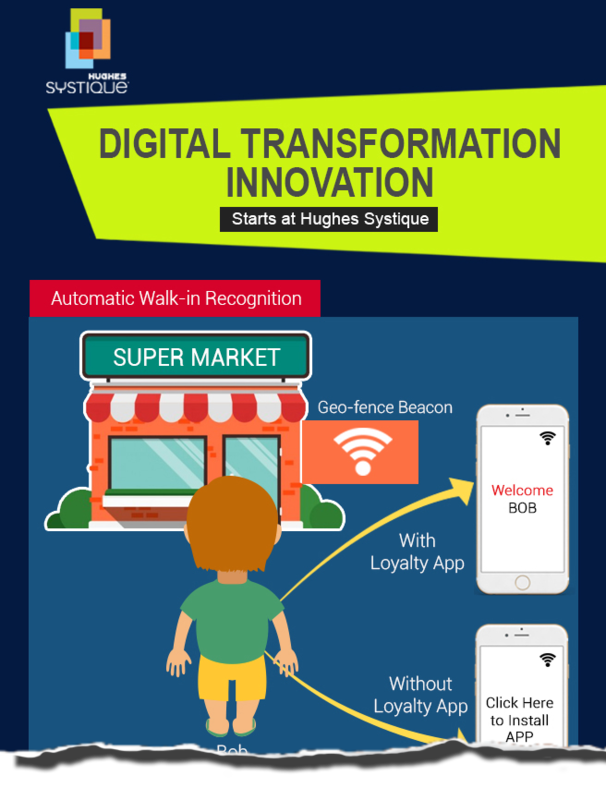 The retail innovation solution demonstrates emerging technologies such as indoor position tracking, face recognition, Convoluted Neural Net classifications and more to effectively create a transformative experience. Please click here for a video of the retail concept solution. For inquiries about how you can use HSC's concept solution, please click here. : Hughes Systique Pvt. Ltd.